Even rarer than printed and published design books and periodicals are the original sketches and working drawings of artists and craftsmen. These provide clues about how artisans were influenced by the past and yet incorporated imagination and innovation. The design seen here for a painted chair is from Christian Nestell’s student drawing book. Nestell learned ornamental painting at a New York City school and later sold painted chairs in Providence, Rhode Island. 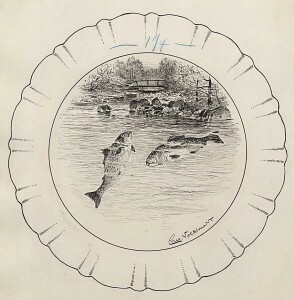 One of the most common methods of decorating pottery wares in England in the early 1800s was through the application of transfer-printed designs from thin tissue paper. 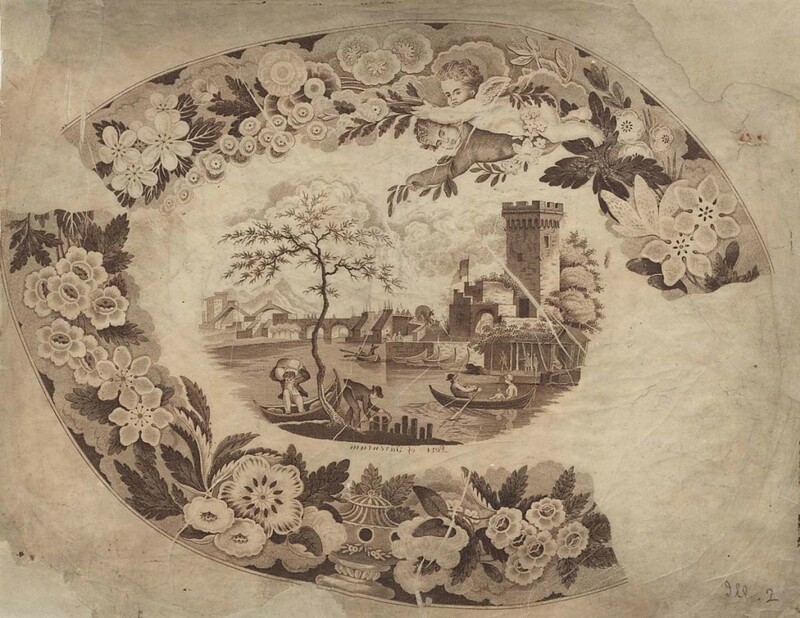 Transfer-printed wares were rarely made in the United States, and so English ones dominated the market. The bright colors and strong geometric designs of these textile patterns are a revelation. 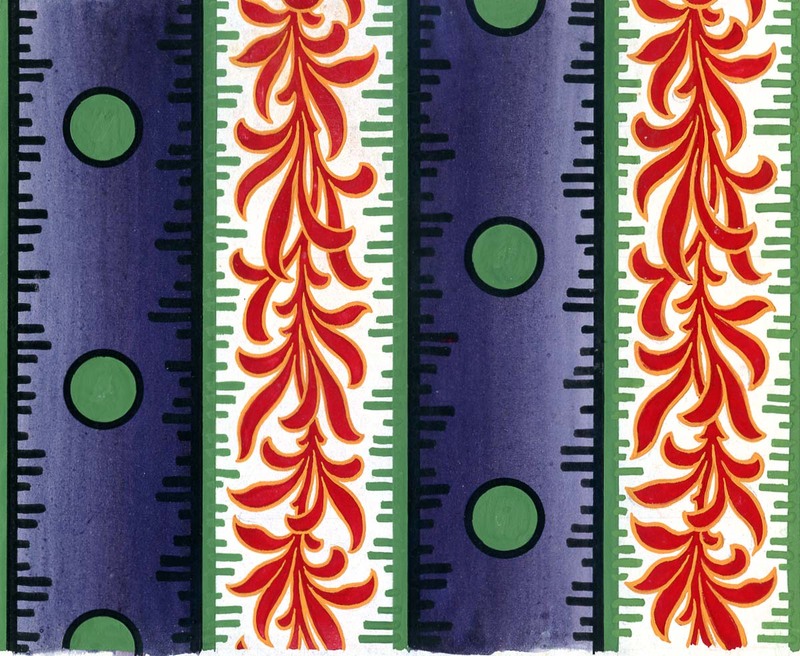 They were created for an unidentified French firm in the early 1840s, when France was a world center for the production of fine woven textiles. 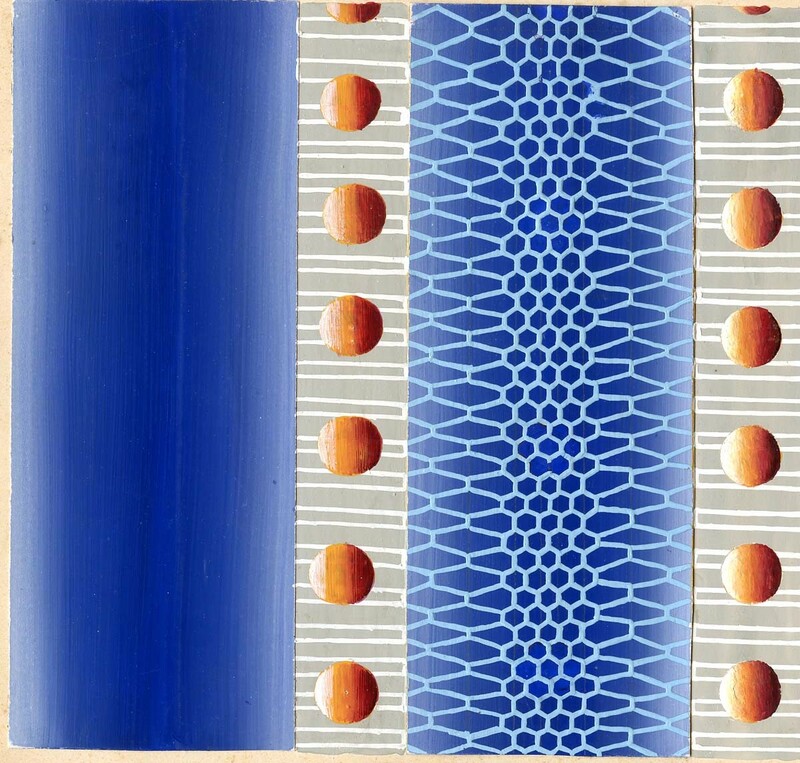 Being one-of-a-kind, pattern books for woven textile manufacturers in the 1800s are rare survivals. By Thomas Dimmock & Co. 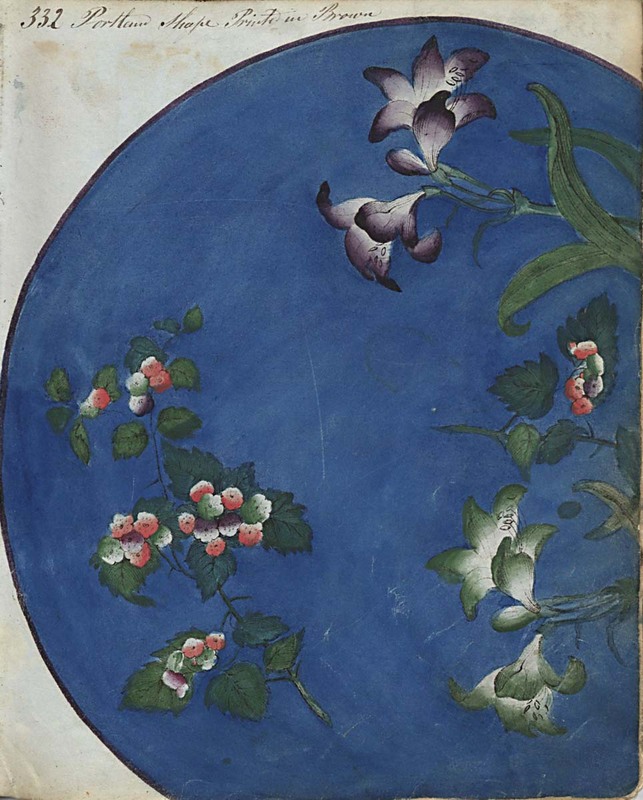 This volume contains the Dimmock & Co. watercolor and transfer-printed pattern designs for plates and hollow vessels. 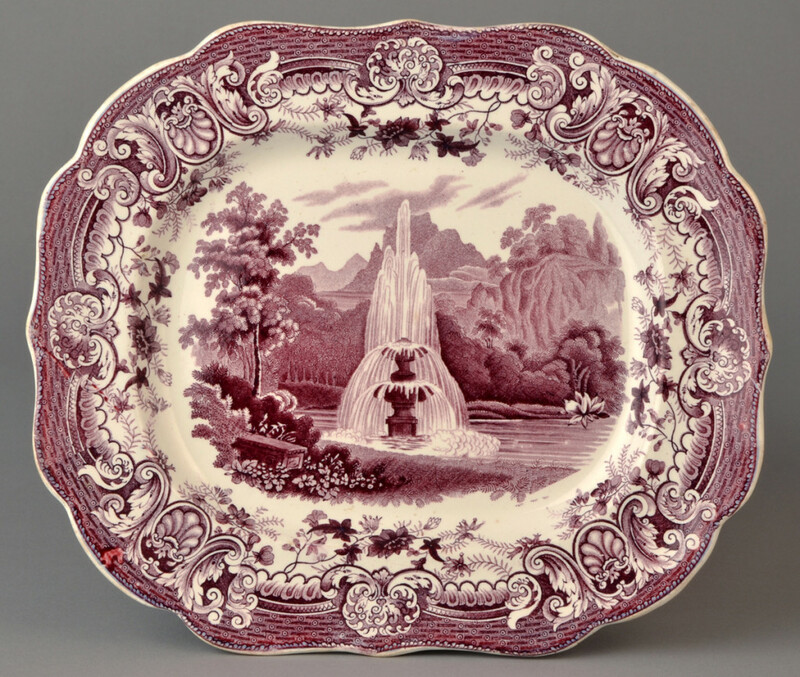 These ceramics were made primarily for the American market. 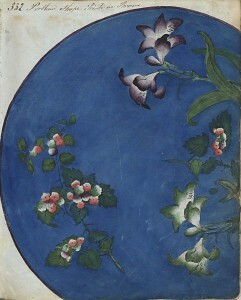 Charles Volkmar published original designs for professional and amateur china painters in the popular American and English periodical Art Amateur. 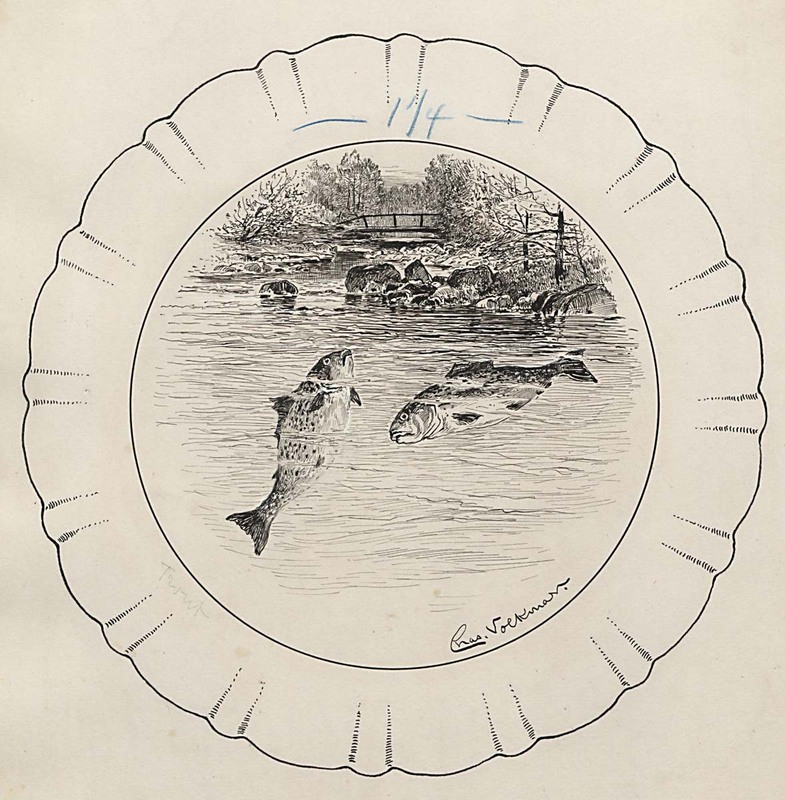 Trout was one of his designs for a large dinner service for serving fish. British-born Charles Osborne worked as a designer of silver tablewares for the New York firms of Whiting Manufacturing Co. and Tiffany and Co. He was one of the foremost designers of silver objects at the turn of the century and patented many of his creations.